Good customer service isn’t enough to grow your brand and drive market share. Modern marketing executives know that a stellar customer experience is what makes consumers prefer your brand and serve as your best advocates. Walker predicts that by 2020, customer experience will overtake both price and product satisfaction as a key differentiator. What are leading enterprise brands doing to create a more impactful, integrated customer experience—across dozens, hundreds, or even thousands of locations spanning the country (or globe)? 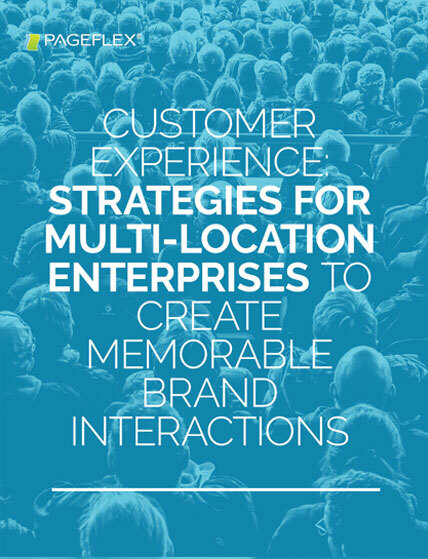 Is customer experience a priority for your multi-location enterprise brand? With Zendesk reporting that 87% of consumers want brands to put more effort into providing a more seamless customer experience, it should be. Fill out the form to get your copy of the whitepaper now!